After break fast transfer for day excursion DoodhPathri .The Valley of Kashmir still holds many beautiful secrets. One of these is the Valley of Doodhpathri near Srinagar. We went there this May. The snow caps on the surrounding mountains had still not melted. The floor of the valley was still covered with snow. The snow on the slopes surrounding the valley had however melted and were now covered with lush green grass. The magical color play of brown mud, shiny green grass and pure white snow looked enchanting!Overnight satay at Srinagar Hotel. After breakfast transfer to Gulmarg. For day excursion. Here you can watch meadow of flowers; it has a famous golf course during summer and ski resort during winter. One can enjoy gondola ride (self expenses). 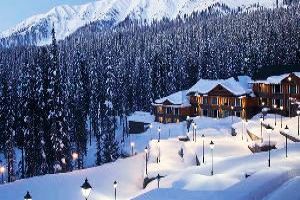 After fully enjoying the Gulmarg then you will be back to Srinagar and overnight stay at houseboat. 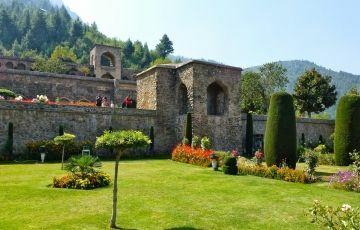 After early breakfast at hotel and before approaching Pahalgam, you will watch in the route saffron growing fields, ruins of Awantiverman at Awantipora. 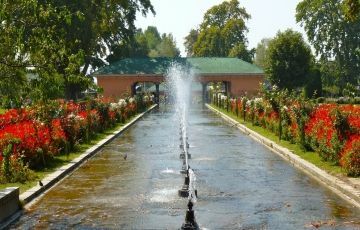 You can enjoy the natural beauty and river lidder, Aru Valley, Chandhanwadi and Famous Betaab Valley and local market. Overnight stay at hotel in Phalgham. :- After breakfast at hotel and you will be go for local sight seeing of phalgham like Aru, Chandanwari and beetab valley. Over night at same hotel.